Easily one of the most recognized vehicles on the road, the Jeep Wrangler takes the crown as MotorTrend's SUV of the year! Freedom and Fun are synonymous with the Wrangler. This SUV allows you to commute to work, tackle all your errands around town, and hit the rough terrain for a good adventure on the weekend! Plus, it comes loaded with tons of advanced tech features so you can blast road trip tunes and stay on the right path with navigation! 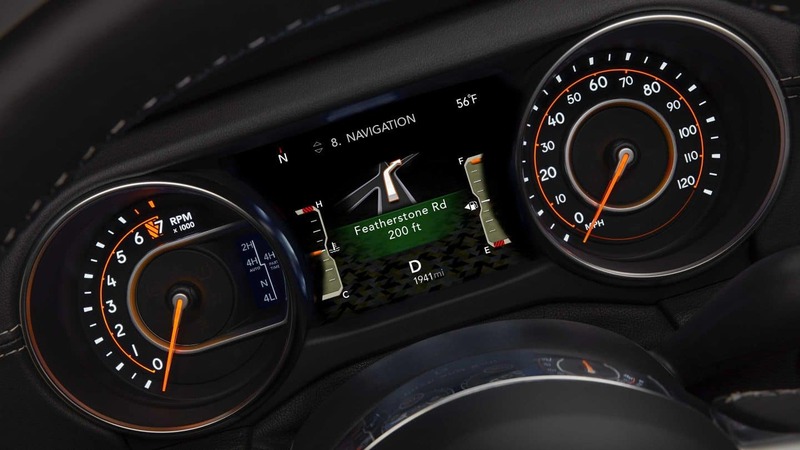 Would you like to learn more about what the 2019 Jeep Wrangler has to offer your lifestyle? Keep reading! The iconic Wrangler is offered in two body styles again for the 2019 model year, a four-seater two-door and a five-seater four-door dubbed the Unlimited. There are a total of four trim levels to choose from as well -- Sport, Sport S, Sahara (Unlimited exclusive) and the Rubicon. Standard features are bountiful in 2019 and include air conditioning, a full-size spare tire, tilting and telescoping steering wheel, removable doors and roof, folding windshield, manual mirrors and locks, Bluetooth, a 5-inch touchscreen interface, rearview camera, an 8-speaker sound system, and USB and auxiliary audio inputs. The upper trim levels build on this with features like power accessories, a 7- or 8.4-inch touchscreen, additional USB ports, automatic headlights, mud-terrain tires, full-time 4WD system, heavy-duty front and rear axles, rear parking sensors, keyless entry, and more! Jeep offers two outstanding engine options to power the 2019 Wrangler. The standard engine is the Pentastar, widely used throughout the Jeep lineup this is an engine you can count on! This 3.6L V6 cranks out up to 260 pound-feet of torque and 285 horsepower. This engine comes mated to a 6-speed manual transmission but you can opt for the available 8-speed automatic. Fuel economy estimates range from 23 to 25 mpg highway depending on body style and drivetrain. The second engine offered in a turbo 2.0L 4-cylinder that pumps out up to 295 pound-feet of torque and 268 horsepower. This engine is only paired with the 8-speed automatic transmission and can get up to 25 mpg highway. 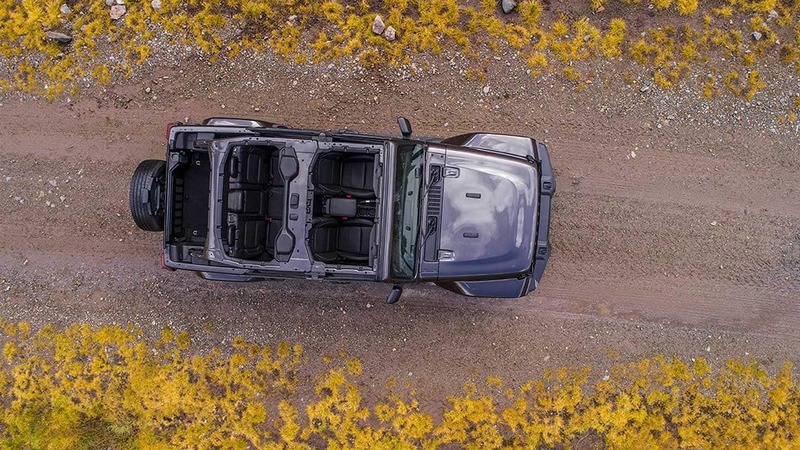 Catering to a wide range of adventure enthusiasts, there are three 4x4 systems to choose from for the 2019 model year. Keeping you protected on both the road and the trail, the Wrangler offers tons of advanced safety and security features that you can depend on time and time again. Features like the standard rearview camera with dynamic guidelines and the available ParkSense rear park assist system help you nail that perfect park job with ease while features like rear cross path detection and blind spot monitoring help you stay alert when other vehicles are in your immediate surroundings. 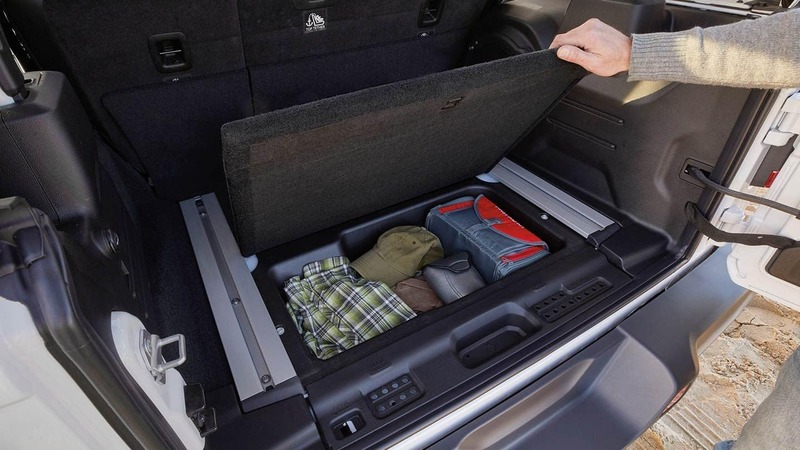 Other features that stand out in the 2019 model year include Keyless Enter 'N Go, the tire pressure monitoring system, Trailer Sway Control, the airbag system installed throughout the cabin, and the high-strength steel beams that are integrated into the frame for enhanced side-impact protection. 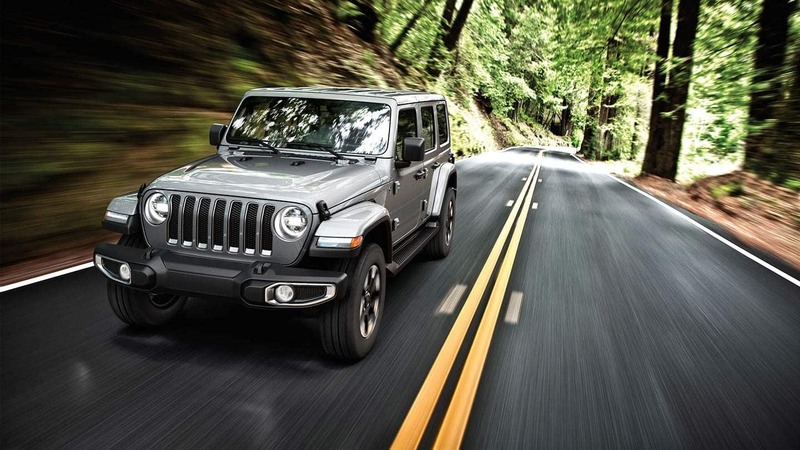 The 2019 Jeep Wrangler is ready to embark on all kinds of new adventures with you behind the wheel! 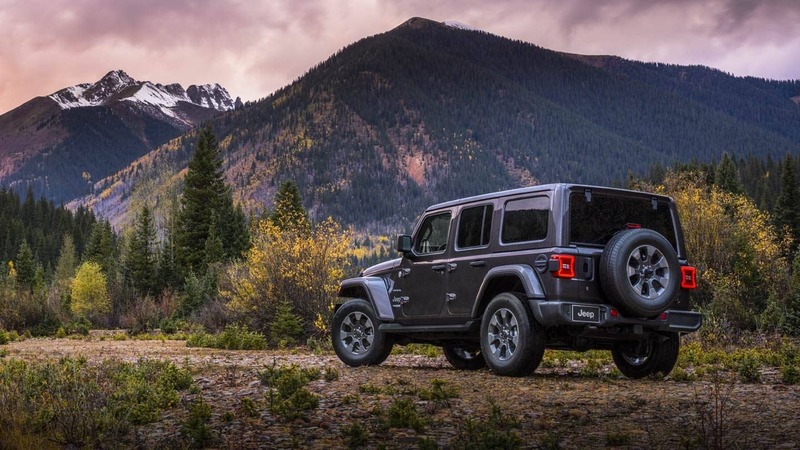 If you want to learn even more about what the Wrangler has to offer or are ready to experience the open-air freedom Jeeps are known for come on down to the dealership today!